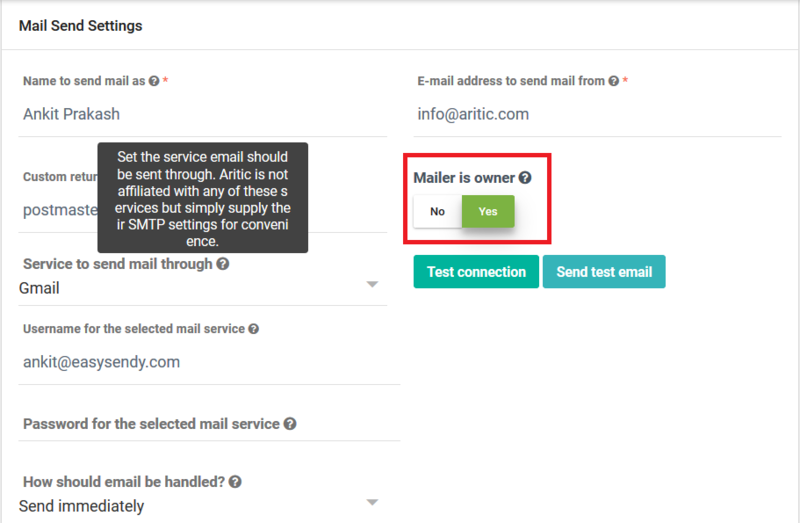 This feature allows to automatically personalize emails sent to a contact who has an owner (Aritic user) assigned to it. 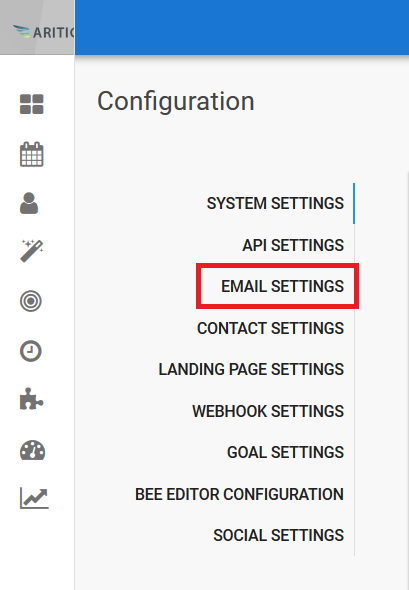 This feature changes/ overrides the from email, from name and signature from the default setting to the contact’s owner setting inside an email campaign and email template sent through automation campaign. This feature should be enabled when you want to deliver emails to the contacts from the contact’s owner detail only, otherwise you can disable this setting. In case when there is no owner assigned to a contact, then the from email, from name will be taken from the email campaign and email template of the automation campaign. In this case the email signature will be taken from the email template and email campaign owner. Go to Settings > Advance Settings. Inside “Mail Send Settings”, switch the “Mailer is Owner” to “Yes”. Click on “Save and Close” button.